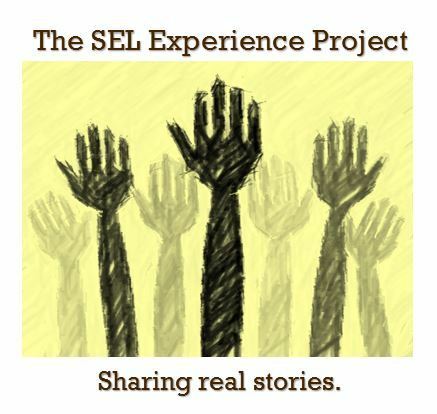 < Previous Tell us about your SEL Experience! Excellent article. You really hit the points perfectly. Well said. We are white Lyndhurst residents. I say that only for context. We have heard these negative comments from residents for years. Unfortunately they are always from people who do not send their kids to the district so they do not know what they are talking about. Both of our daughters went all the way through the system. They loved the system. They have thrived in college and beyond. And they are better people and more socially conscious because of their experience. It is amazing how the biggest detractors have no first-hand knowledge of our schools. Thank you for saying everything I can never seem to put into words when I find myself in the unfortunate position of defending my choice to have my children in the SEL schools. We moved here 12 years ago to start a family and haven’t regretted it. SE is a community in which I am proud to live and and have my children educated. Thank you Julie! That is great to hear! We couldn’t agree more! I have been saying these exact things for years. Our schools are as good as any private school and schools such as Chardon and Hudson. Lyndhurst residents, give the schools a chance and they won’t be predominantly black. Thank you Christine! Please keep telling everyone you know! It’s the only way things will change. I wanted to add that I enjoyed the energy and positivity displayed in the articles. My daughters are graduates of Brush, I am a retired teacher from SEL schools, and we proudly reside in S. Euclid. Thank you! Please keep spreading the good news about our wonderful community! Thank you for addressing this. PLEASE please send this piece to both the Sun Messenger and Sun Press (CHUH has the identical problem). You commented on my response to Sun Paper’s editor Laura Johnston, who announced today “she’s moving away to get her kids into GOOD SCHOOLS” and also from the same high taxes she and her paper have been promoting here for decades! I also appreciate your addressing “strategic foreclosure”. Please write more about this — the PD, Sun papers, Heights Observer, Monticello neighbors — ANYWHERE. I’ve seen this with my own eyes. In my CH neighborhood, I saw couples with good jobs, who walked away from mortgages they could afford because “why should I pay X dollars, when the house isn’t worth that much anymore?” and then after THREE YEARS of living in that home rent-free, they had a fat downpayment on a better house in a suburb further east of here. THIS HAPPENED ALL THE TIME, though probably mostly between 2009 and 2013. Many of these folks are the biggest “negative talkers” about our area. And no, we will never be able to attract young families and move-up buyers, if OUR OWN LOCAL COMMUNITY PAPER permits their publisher/editor/columnist to tell us “CHUH has no good schools for my children” and “why should I pay for these high taxes (that I previously insisted other residents vote for)”. Sadly, We attempted to get Cleveland.com/PD to cover this and we have gotten nowhere! Apparently, this is not newsworthy! We agree with you that strategic defaults became all-too-common and very under-reported. The media have not been our friends in the inner-ring. Routinely muck-raking and beating us further down. This reporter and her editor should be ashamed. I would not count on REPORTERS to cover this. Many times, the reporters, the editors and publishers are “escapees” who left inner ring suburbs (or left the eastside for the westside) and are defensive about their positions. Yet they continually encourage voters here to vote for ruinous high taxes, bond issues and the like (which they themselves do not have to pay). When I say “write the papers (and internet media)”, I mean the letters column. I wrote the Sun Press, and already have a response that they say they will print my letter (about Laura Johnston) in the next issue. I also posted on her Twitter account, and Facebook page. The Heights Observer will publish most submitted stories and articles about the general region. Also The Patch (online), Cleveland.com, etc. We need to be proactive, because our communities are directly threatened by this. Thank you for sharing and for the kind words! Thank you for a well thought-out piece. I live in and send my children to public school in Cleveland Heights. All the same things can be said of my community. Thanks for your comment Malia. We need to work together on this issue as a region! We are happy to be partnering with Heights Community Congress and will keep pushing! I am really happy that there seems to be a trend here toward families staying put and investing in a walkable neighborhood with great natural resources and affordable housing. The porch parties and mini parks and neighborhood gardens are wonderful. I truly love living here. I do love living here in South Euclid. I would like to be able to send my children to the schools so that I can avoid taking them half-way across Ohio to school. Chelley: We feel your concerns should be addressed through the collective wisdom of the group, so we turned your comment into a blog post. We are hopeful that the community will help allay your concerns and offer feedback that will help improve the school experience for all families. Thank you for sharing your concerns.